I am a mixed media artist who loves to sculpt fantasy characters and creatures out of clay. I have fun embellishing them with things I find in nature like shells,moss,acorns,pinecones, pebbles or whatever I feel the character needs to bring them to life. 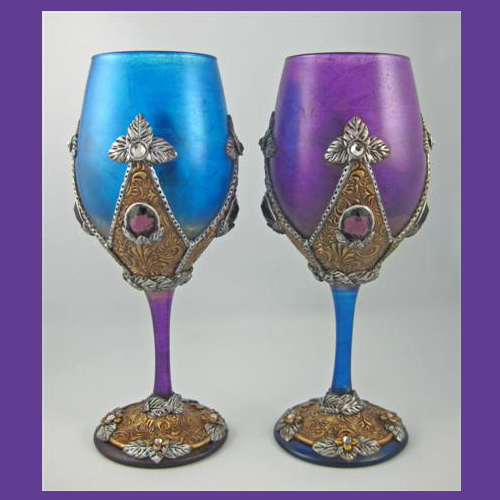 I also make medieval goblets which have crystals or semi-precious stones embedded in the clay. All of my work comes with a story about the character or goblet as well as care instructions.